If your family loves the perks of co-sleeping, go with a safe, snuggly sleeper that will benefit the entire bunch. This site shows you seven co-sleepers that will help everyone when you co-sleep to get a good nights rest safely. You can see all seven of these co-sleepers here. The image below is for representation purposes only and is not to be construed as a recommendation. I hope you found this article on co-sleepers to be helpful. I also hope you take this opportunity to visit my website (store). 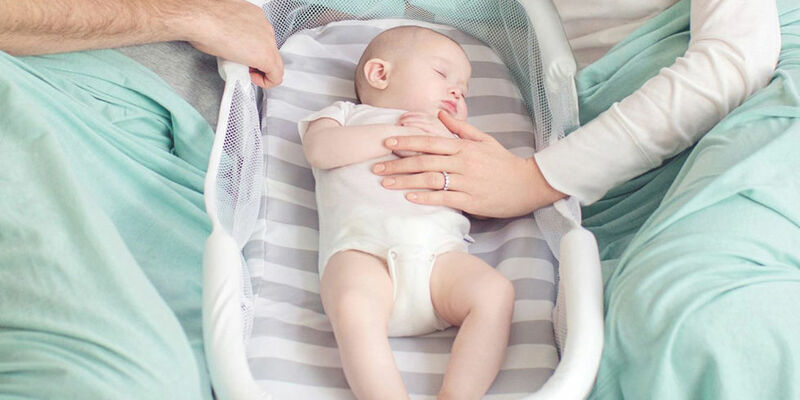 We offer Hotslings Adjustable Pouch, Rockin Baby Pouch, Rockin Baby Ring Sling and Lil Cub Hub Convertible Baby Carriers in a wide variety of fabrics and colors. Thank you for visiting my blog and hopefully also my website.